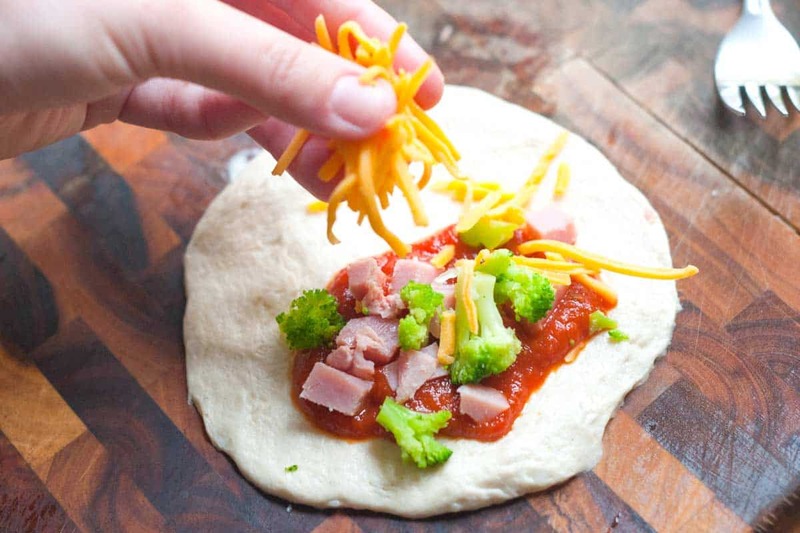 How to make ham and broccoli pizza pockets using store-bought biscuit dough. 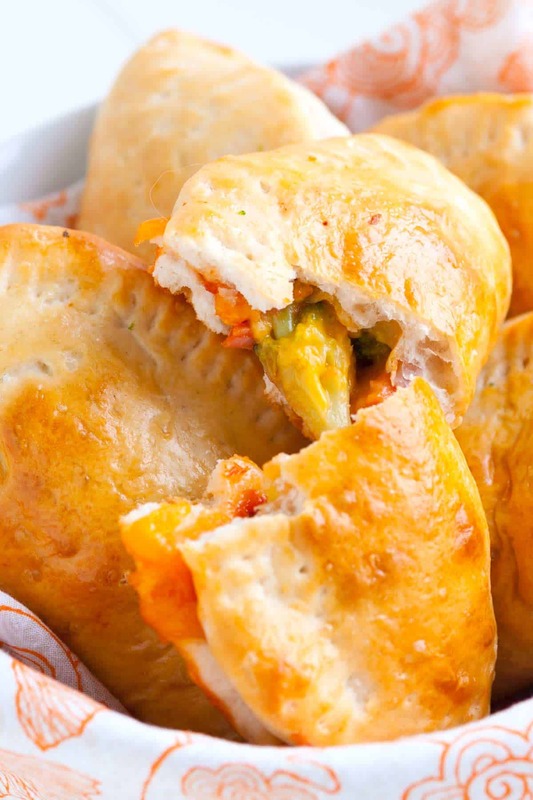 Jump to the Ham and Broccoli Pizza Pockets Recipe or read on to see our tips for making them. We don’t have any kids yet, well, unless you count a four-legged fluffy orange cat as one. That doesn’t mean we can’t throw together a kid-friendly snack here and there. 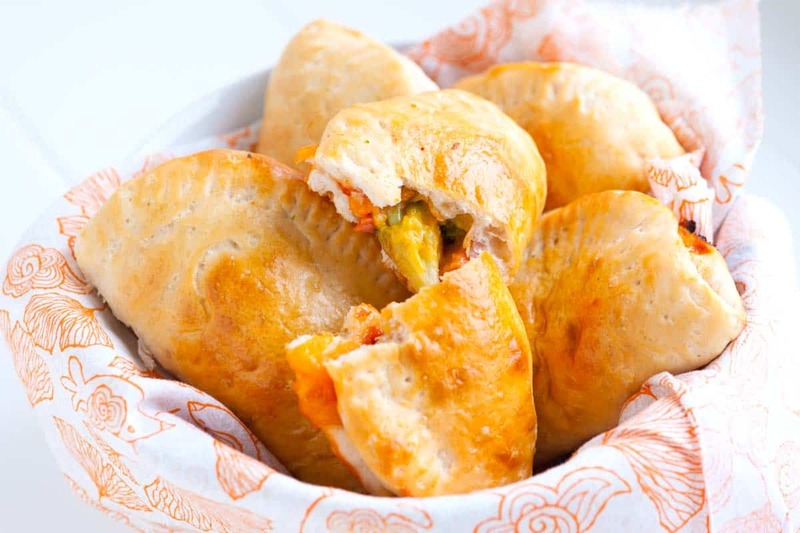 We made these cute little pizza pockets for Pillsbury and fell in love with how easy and tasty they were. YOU MAY ALSO LIKE: How to make pizza with an easy garlic and black bean spread, cheese and a salad on top. 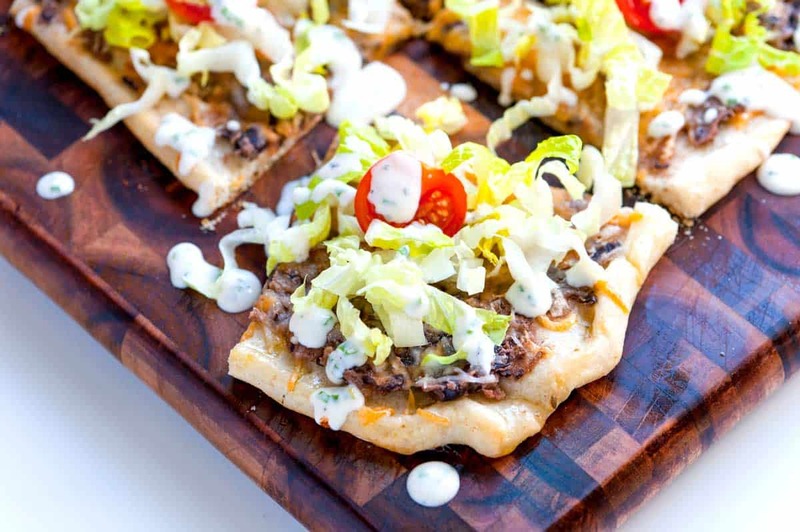 Jump to the Easy Black Bean Pizza Recipe. Buy a can of biscuit dough (try not to jump when you open it, Joanne jumps every time), then use the tips of you fingers to press the biscuit into a flat circle. Add some pizza or pasta sauce, ham, thawed frozen broccoli florets and cheese to the middle of the biscuit round. Fold one side over the filling and crimp the edges with a fork. Brush on some egg wash so the tops become shiny and golden brown in the oven. Then bake in the oven until puffed and golden brown. Easy, right? Make sure you serve them with a side of extra sauce! 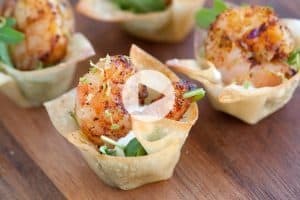 Make these cute little pockets for a kid-friendly snack or for an easy finger food at your next party. We usually serve these next to a bowl of extra pizza sauce, just in case someone wants to dip. Combine 1/2 cup pizza sauce, ham, broccoli and cheese in a medium bowl. Flatten each biscuit into a 5-inch round circle and top half of each with 1 to 2 tablespoons of the ham and cheese filling. Fold empty side of biscuit over the filling and press to seal. Use a fork to crimp the edges. Pierce a small hole in the top of each pocket then lightly brush the tops of each pocket with egg and bake until golden brown, about 10 minutes. Serve with remaining 1/2 cup of pizza sauce on the side. They do look super delicious. I am going to try them with scrambled eggs, green peppers and pepperjack cheese. Thanks for the idea, its an awesome recipe! Just made this with spinach instead of broccoli, mine weren’t pretty but they sure are tasty! 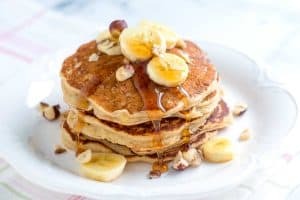 These look amazing, and so easy! Can’t wait to try these out. Hi!! These look great!! I was wondering if they can be frozen? I was hoping that I would be able make a bunch of them and then just pop them in the microwave for a quick snack! Hi Deborah, You could freeze these once cooked, my only concern is that they might become soggy in the microwave. They would still taste great, though! Let us know how they work out. 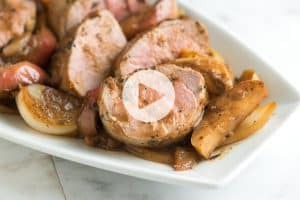 I love how versatile these are, you can really fill that will anything and make great little mobile meals. I forsee breakfast egg and cheese pockets and apple cinnamon for dessert!